Refer to the description of "downhill assist control indicator light remains on" (see page bc-156). 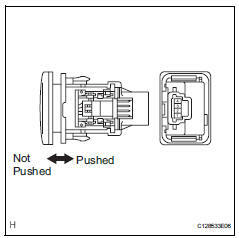 Refer to the downhill assist control indicator light circuit (see page bc-157). 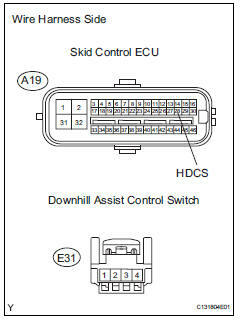 Check the data list for proper functioning of the downhill assist control switch. Ok: on (downhill assist control switch is on) appears on the screen. Select the active test, generate a control command, and then check that the downhill assist control indicator light operates. Ok: the downhill assist control indicator light turns on and off.